In 2018 the National Johne’s Management Plan required dairy farmers to obtain a declaration signed by a BCVA accredited Johne’s Veterinary Advisor that they have determined their risk and disease status and that they have put in place a written Johne’s management plan. Information supplied by farmers to milk purchasers will enable an assessment to be made of the level of active participation by farmers in the initiative. The objectives of the conference will be to assess progress and farmer engagement with the initiative, understand how the industry compares with its major international counterparts, learn about retailer and Government activity, share the experience of dairy farmers and affirm the objectives of the National Johne’s Management Plan for 2019. The conference will start with a presentation by Lyndon Edwards, Chair of the Action Group on Johne’s, setting out progress to date. The next couple of speakers will help to put the UK’s progress into context with presentations on the control schemes in the Netherlands and Italy from Dr. Maarten F. Weber and Dr Norma Arrigoni respectively. After the coffee break the conference will review two case studies presented jointly by vets and dairy farmers. The first will be by Gill Whitehurst(vet) and Adam Ball(farmer) and the second by Nathan Lowenstein(vet) and Tim Downes(farmer). The session will then conclude with a presentation from Mark Hammond of PBD Biotech on new testing techniques for detecting MAP in dairy products. After lunch the Chair of the Johne’s Technical Group, Pete Orpin, will talk on how both farmers and vets can get the best from the Johne’s review process. This will be followed by Nic Parsons and Prof. Rob Smith giving the experience of Tesco. A Government representative will then place the industry’s efforts within the context of future UK policy on endemic diseases. The conference will close with a presentation from Karen Bond of NML on the requirements of the National Johne’s Management Plan for 2019. Any individual in the dairy supply chain who is interested in the management and reduction of Johne’s disease: vets, dairy farmers, supply group representatives, farming union staff, milk purchaser farm liaison personnel, milk procurement executives, industry public relations and customer liaison staff. Vets in particular will obtain an appreciation of the industry’s commitment to managing Johne’s. Milk purchasers that are members of the NJMP are expected to send a leading dairy farmer and an individual responsible for farm liaison. The Action Johne’s Initiative is the implementation of the National Johne’s Management Plan. The plan is overseen by the Action Group on Johne’s which is the industry committee supported by Dairy UK, that takes the lead on pushing forward Johne’s management in the UK. The Group consists of organisations from the industry supply chain that are committed to tackling Johne’s disease. To register for the conference please e-mail pdawson@dairyuk.org, giving the name, company, position, postal address, email address and mobile number of the delegate(s) you wish to register. To cover venue hire and catering costs a fee of £65 will be charged for each delegate. A discount rate of £30 is available for dairy farmers. An invoice will be issued by Dairy UK after the conference. 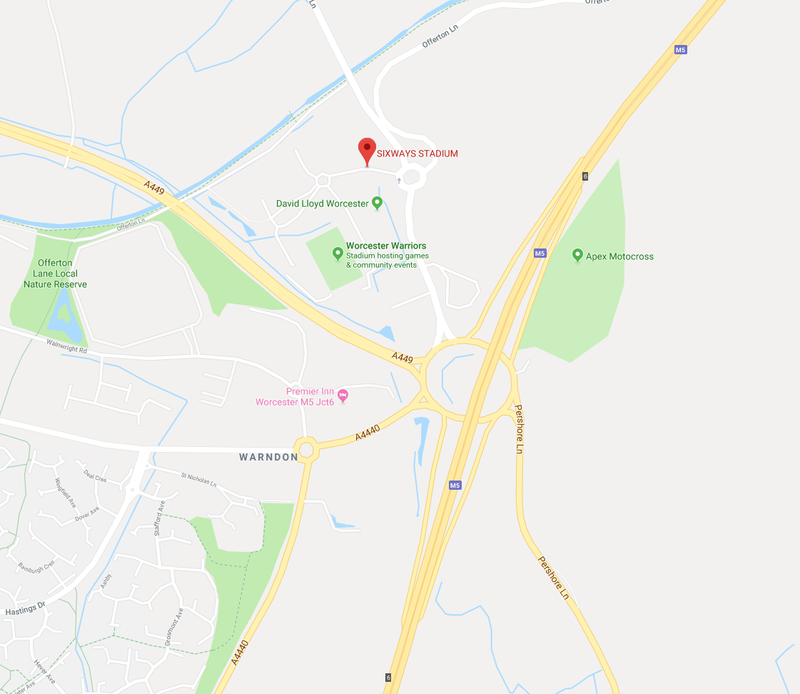 The venue is the Sixways Stadium, Warriors Way, Worcester, WR3 8ZE, which is just off Junction 6 of the M5 motorway. Alternatively take a train to either Worcester Shrub Hill Station or Worcester Foregate Street Station and a 15 minute ride in a taxi. Log in for industry news, positions statements and committee communications.